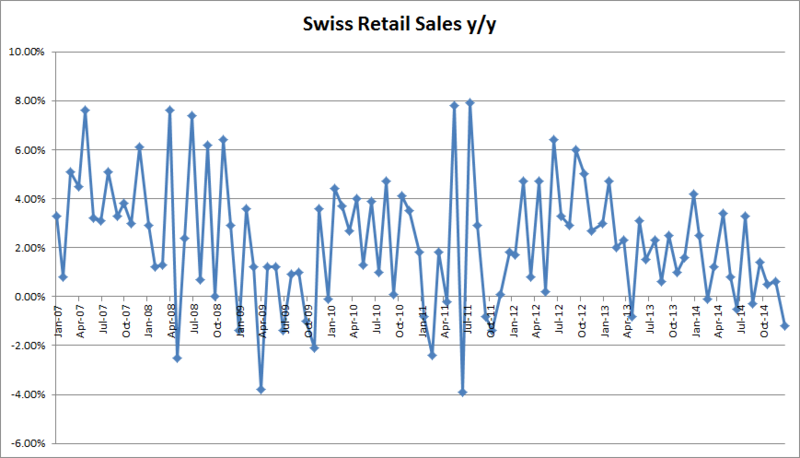 Yesterday SNB announced removal of floor for EUR/CHF. Today’s retails sales are not helping the situation. The inflation adjusted retail sales fell -1.2% on year-over-year basis for the month of December 2014. Here is the graph and the downward trend is unmistakable. The ogre of deflation is becoming more menacing.